Geospatial World, our media brand is considered as the voice of the global geospatial industry. Our offerings through multiple media channels - online, video, print and social media bring out the latest on technology trends and analysis, views of experts and advocacy on policy issues. An advisory board of top thought leaders gives us an exceptional grip on the industry. A world-class resource portal, geospatialworld.net has become a reliable source of information for professionals in 150+ countries. 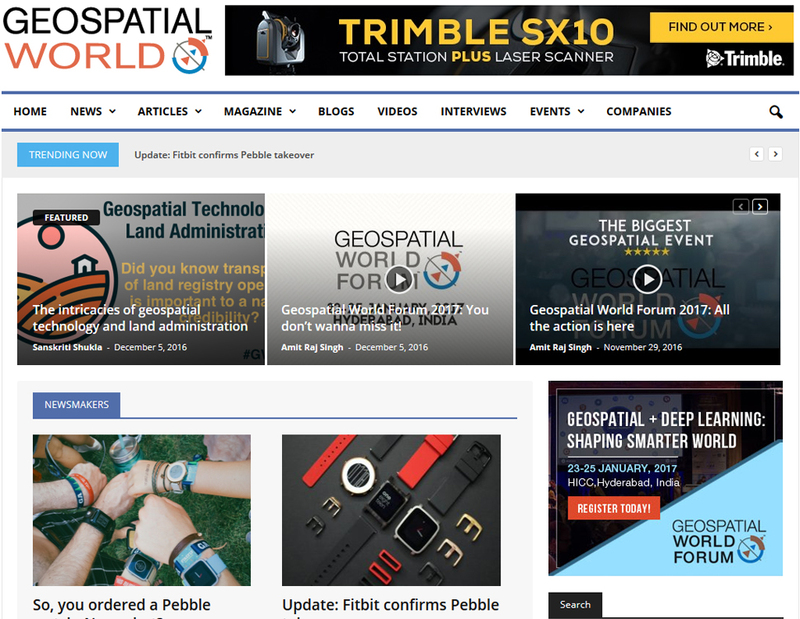 The website, which integrates text, graphics and video elements, is an interactive medium for geospatial industry stakeholders to connect through several innovative features, including news, videos, guest blogs, case studies, articles, interviews, business listings and events. Launched in 2015, our video platform, is growing every day. The platform offers daily news updates, interviews, product launches, panel discussions and event coverage in snackable, short and long format. 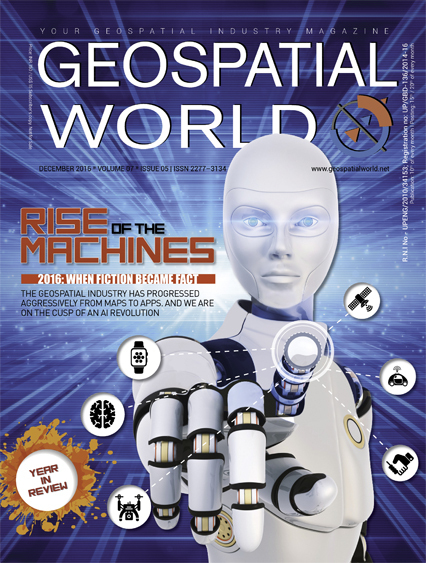 Considered as the voice of the global geospatial industry, Geospatial World brings the latest technology trends and analysis from across the world, presents views of experts through columns and interviews, advocates on policy issues and captures the dynamics of the industry through comprehensive articles. An advisory board of top thought leaders gives us an exceptional grip on the industry.The bi-monthly magazine is published in two formats - print and digital. Want exclusive interaction with an online audience? Looking to educate a prospective client base about your latest software, hardware, data or service? 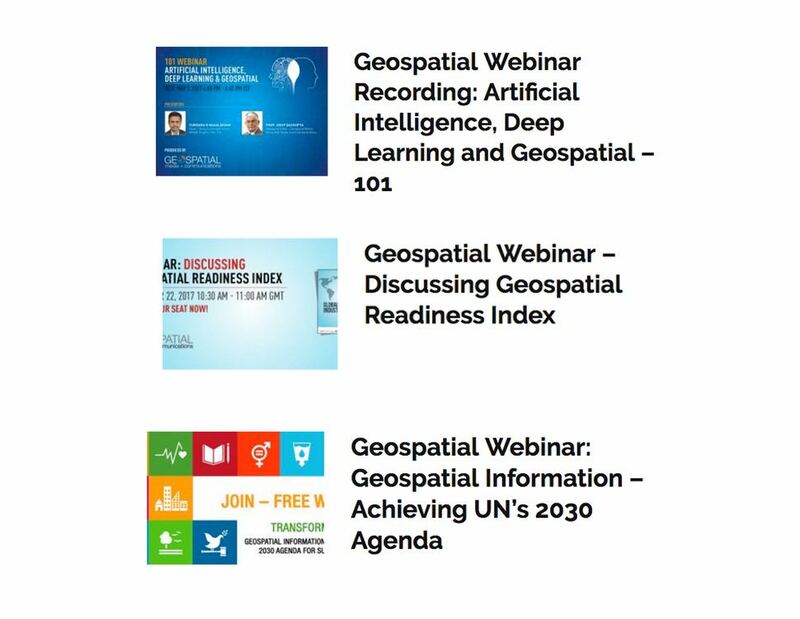 Geospatial World Webinars offers the right platform for you to invest in, to reach out to wide audience, connect and convert the prospects into clients. Get set to gain a positive RoI through Geospatial World Webinars! 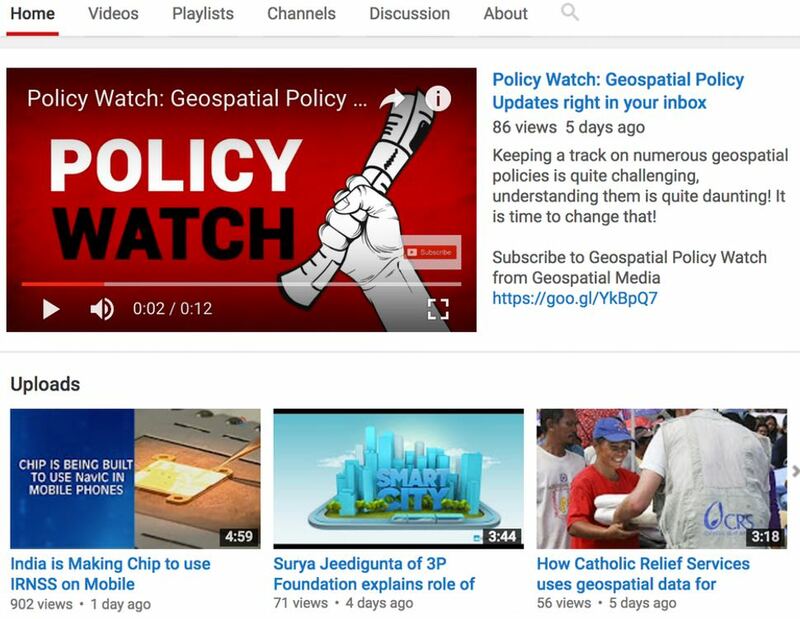 Geospatial World effectively uses all social media platforms to keep its readers abreast with the latest happenings of geospatial industry around the world; shares thought-provoking articles and interviews; and engages fellow geospatialists with constructive discussions and debates. Follow us!